AUD 69.00 Day delegate packages start from $69 per person. Keeping people engaged and inspired during meetings or conferences can be hard. Mercure’s Mindful Meetings packages remove the hard work for you. Spaces are dressed to inspire collaboration, food has been created to promote concentration and a suite of interventions have been designed to ensure the energy of your delegates is maintained throughout the day. If you’re looking for a whole new meeting or conference experience, Mindful Meetings will help inspire your delegates and drive meaningful results.With competitive mid-market pricing and a convenient location in the heart of the Brisbane CBD, the Mercure Brisbane Hotel is the perfect venue for your upcoming sales meeting, training conference, seminar or corporate banquet. Mercure Brisbane is located just 200 metres from Roma Street Train and Bus Station, and very close to the City Cat Ferry Stop and riverside bikeway. Brisbane Domestic and International Airport is just 16km from the hotel door and it's only a short trip to many of our coastal "hotspots". The guest accommodation rooms and suites offer enhanced comfort and refinement for the business or leisure traveller. Spacious and comfortable, we offer you the choice of a view of the city or the spectacular Brisbane River and a quiet space in which to adjourn after a busy day. Within the hotel, Mercure Restaurant and Bar offers beautiful views of the Brisbane River and Southbank Parklands. Featuring the finest local produce, Mercure Restaurant and Bar is open for buffet breakfast and dinner daily. Children and groups can be catered for. Conference lunches can also be served in the MRepublic Restaurant and Bar. Room service is also available anytime day or night. For business, conference and leisure guests, this Brisbane city hotel is just steps from the Queen Street Mall - Brisbane's best shopping, the central business district, Treasury Casino and Queensland Performing Arts Centre. Mercure Hotels have teamed with the Carbon Reduction Institute to streamline the carbon offsetting process. 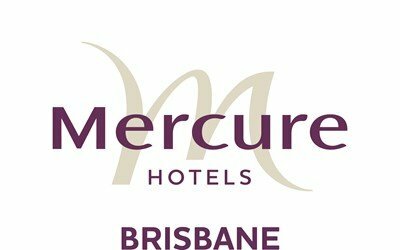 The Mercure Brisbane will fully fund offsets for carbon emissions produced during your event. All Mercure Hotels follow the Accor Environmental Charter with 20 priority action points identified to reduce energy and water consumption and improve waste management and recycling. These 20 action points are adhered to by all Mercure Hotels. Mercure Meetings will calculate the carbon offsets for each hotel by the use of a carbon calculator developed specifically for the Mercure Brand by the Carbon Reduction Institute. Our calculator is tailored to each individual hotel by the Carbon Reduction Institute working with the hotel. The Mercure Brisbane hotel has re-launched its restaurant and bar, showcasing a fresh, light and contemporary new finish for guests and revised menu that reflects its prime location overlooking the Brisbane River and Southbank Parklands. The Accor Group's leading midscale hotel brand Mercure has commenced the roll out of its new interactive lobby concept in Australia, launching its first new-look reception space at the Mercure Brisbane this month.